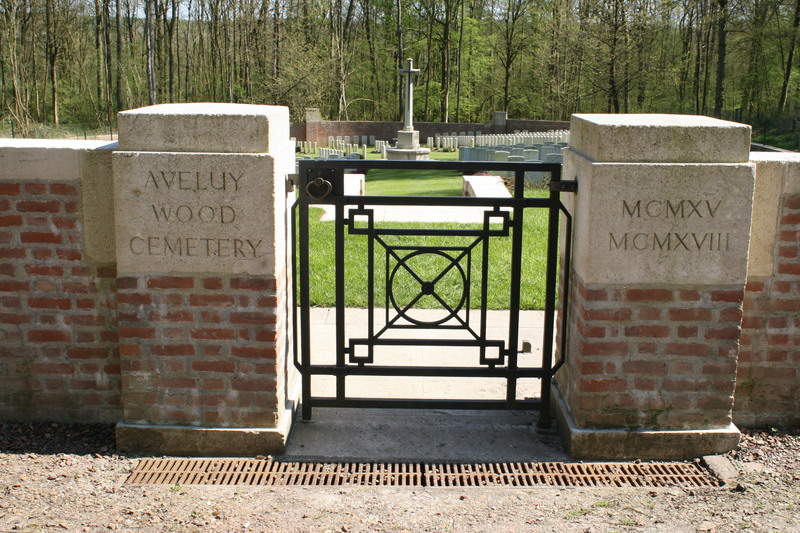 Aveluy Wood Cemetery (Lancashire Dump) is another cemetery situated in the valley of the River Ancre, a little way south of Ancre British Cemetery and the village of Hamel. Cemetery entrance. The Lancashire Dump part of the official title comes from the name given to this immediate area by the British at the time. 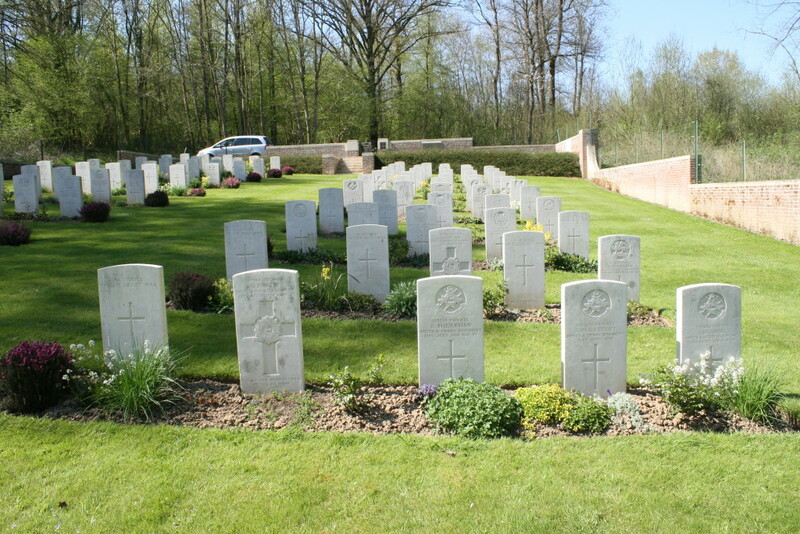 Although the cemetery was begun at the start of the battle, only a handful of burials here are men killed on 1st July. The cemetery plan can be seen here. 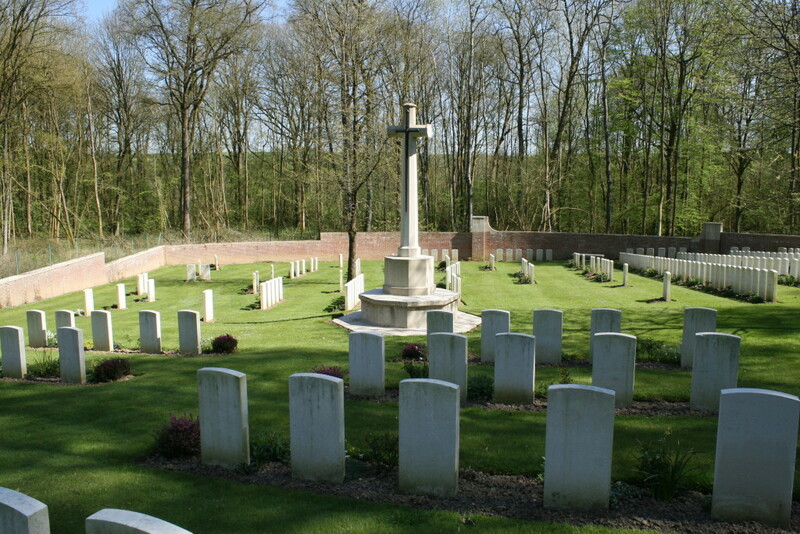 The cemetery was used on a fairly regular basis throughout the rest of 1916 until the German withdrawal to the Hindenburg Line in February 1917. 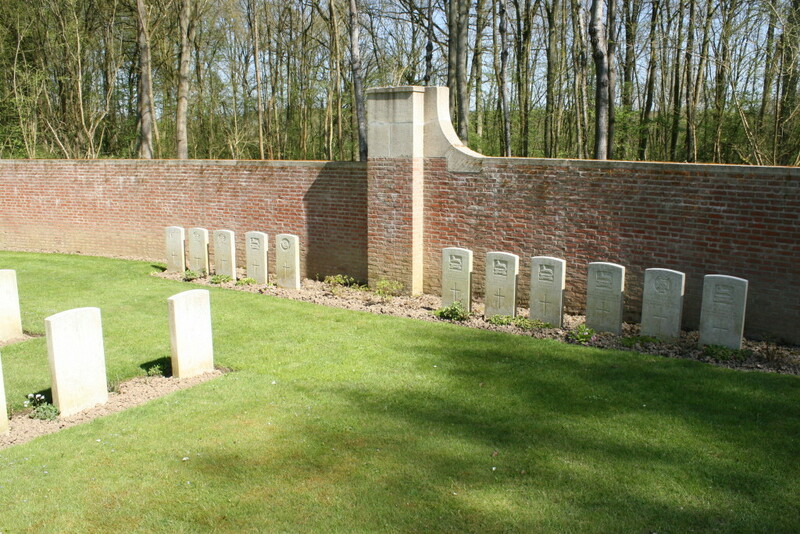 …and in the early 1920s the five rows furthest from the camera in Plot I (above), 124 graves in all, were brought in from wider afield and reburied here. 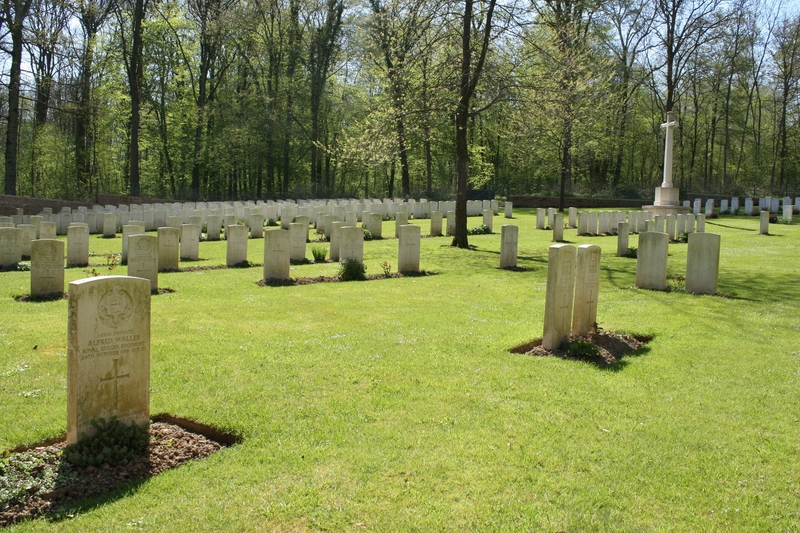 There are now 380 burials in this cemetery, of which 172 are unidentified. Above & following photos: The irregularity of the original graves in Plot I shows the battlefield nature of this cemetery when it was first begun. Along the wall, some of the twenty special memorials to men known to be buried among the unidentified burials here. Naval casualties of the fighting in the spring of 1918. 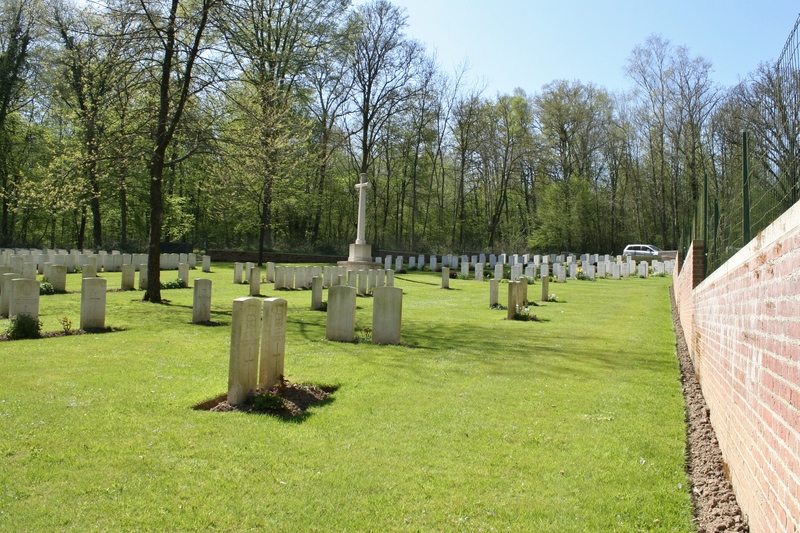 Next, we begin a series of posts visiting the sites of the battles that took place along the Albert-Bapaume road during the summer of 1916, beginning with a look around Albert itself. This entry was posted in The Somme. Bookmark the permalink. My great grandfather Able Seaman James Hutchinson R/5790was buried here. 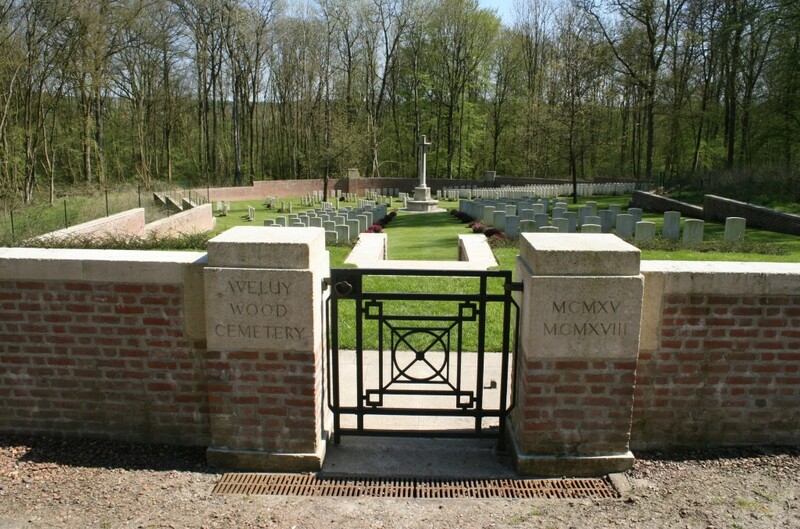 We have been told that he was buried in Lancashire Dump Cemetery, Aveluy Wood, Plot 10. 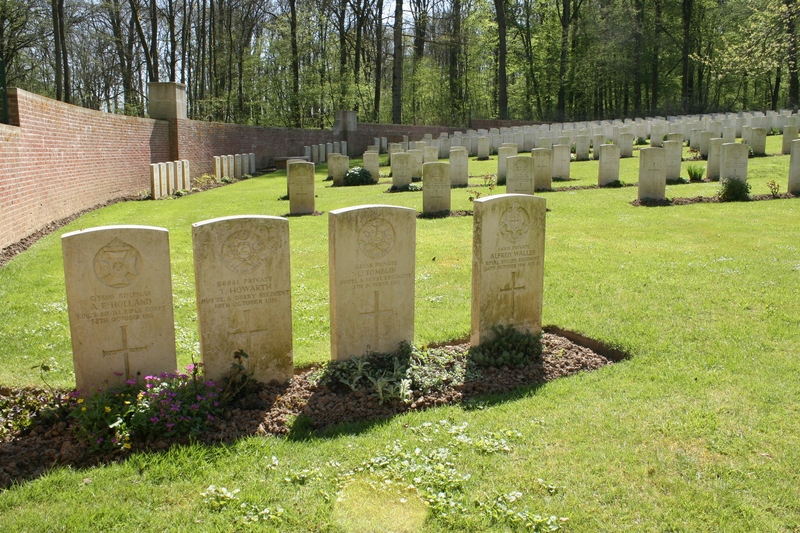 Row E. Grave 3. I have had a look at the map which says plot I. Do you think that it was the same plot? You speak about plots II & III, where there only 3 plots? Hello Jenny. Able Seaman James Hutchinson is buried in Plot III Row F4, so I’m afraid that the information you have is incorrect – there are only three plots. 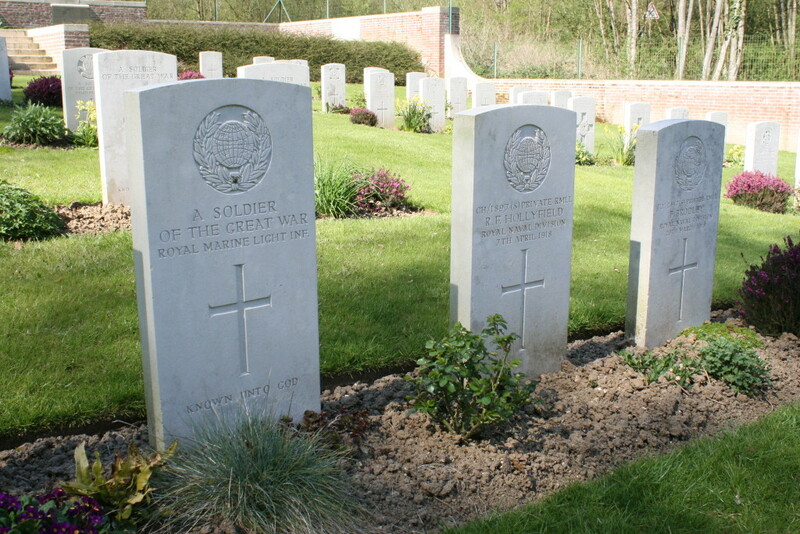 You will be interested to know that he was one of the men who were found post-war and brought here to be buried. 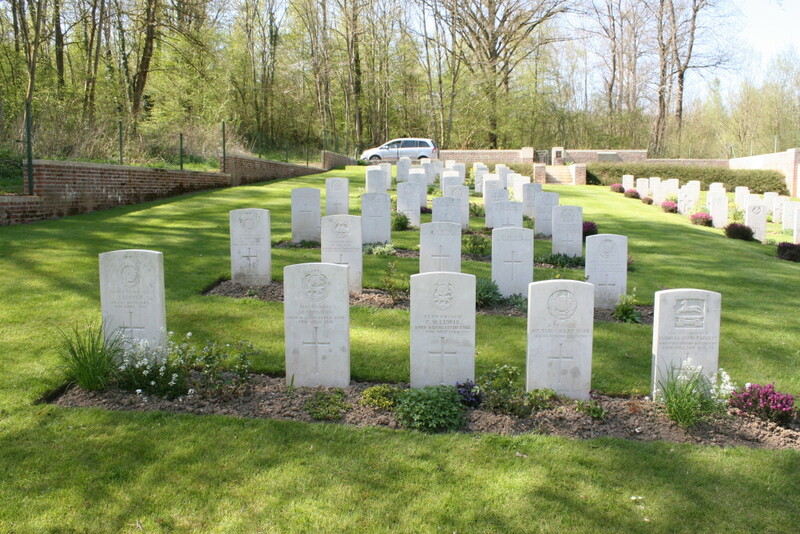 I have a form that gives the approximate grid reference where he was found (sadly he appears to have been the only man found at that grid reference), and part of his headstone is visible in the sixth photo (the one of Plot III) in this post; six rows from the front, four headstones in from the left (or second headstone in from the right if you prefer) – his headstone is the only one in the plot with an anchor embem, and you can just see part of the anchor emblem in the photo. Got it? If you give me permission, I shall email you a copy of the form I mentioned if you wish (although it may be later in the week as I am away for a few days). And finally, thanks for taking the trouble to comment. It’s always appreciated. I am really sorry but I did not realise that you had replied to my message, thank you so much. Yes please do email me a copy of the form. Myself and my family are hoping to visit the cemetery this year so it is great that you have provided us with this information. You will find five documents at the bottom of the page with all his burial details on them; you can print them off or copy them if you wish. The Concentration Form gives details of where he was found, which you could then pinpoint if you wanted to. Hope that helps. 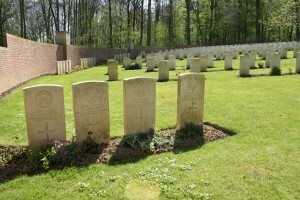 By the way the photos here should enlarge enough for you to see his headstone quite clearly (re: my previous message). Thanks for your reply. I have had a look at the documents and found a reference of Q 35, c 1. Do you know what this means? Or how I could relate it to a map? Sorry but I am new to this. You are now getting into the tricky stuff Jenny. At the head of the column on the document it says Map 57 D. This refers to the British 1:40,000 map of the area. After the war, the British used these maps, divided into squares, to note the numbers of bodies found in each square during post-war battlefield clearance (on the Somme or near Ypres this could be many hundreds or, I kid you not, more, in a very small area – a few hundred yards!). The numbers on the form would correspond, I guess, to coordinates on these maps – trust me, Map 57 D should really be either Map 57 DSE or Map 57 DNE as there are two, but it is most likely that Map 57 DSE would cover where Able Seaman Hutchinson was found. Are you keeping up? So you need to find that particular map, but a copy with the numbers of bodies on it. Which is where my help ends on this one; try the Imperial War Museum or the Great War Forum (they will definitely have experts who will know, but you’d have to join the group – they are very well known). But if you put ‘British ww1 body maps’ in to Google or your search engine of choice, and look at the images, you will see examples of the type of map you are looking for. Thanks again for your help. I went on the Great War Forum where I was directed to the web page, TMAPPER. Using the map reference Map 57 D Q.35.c.1. I was able to enter all the details apart from the the x and the y value. Leaving these blank gives me a location but not sure if I do this, is it the correct location. Waiting for a response on the forum now. Also, we will definitely let you know how we got on. Also thanks for the grave/plot information. I did as you advised with the photo and I managed to see. My Mum is really impressed with the information that you have shared with us, as am I. Thanks again, Jenny. Excellent. Tell your Mum you are both very welcome. Hope you have a great trip when you visit – you’ll have to tell us all about it! My Grandfather, Able Seaman John Harrison, served in the RND – Anson Battalion(same as AB James Hutchinson). He was reported wounded on the 9th April with a gunshot wound to the head. 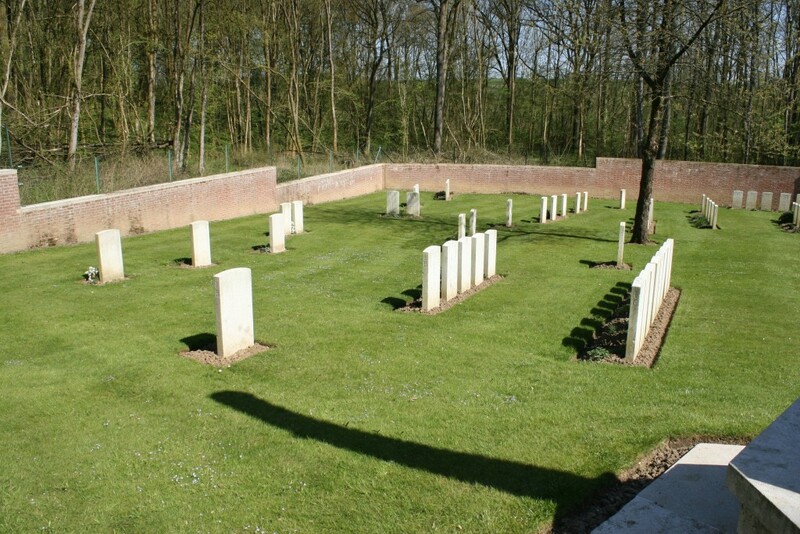 From what I have read it would appear that the battalion transferred from billets in Engelbelmer on the 6th of April to taking over a front line position on the west embankment of the old railway that passed to the west of Aveluy wood before relieving the 1st RMLI on the 7th. 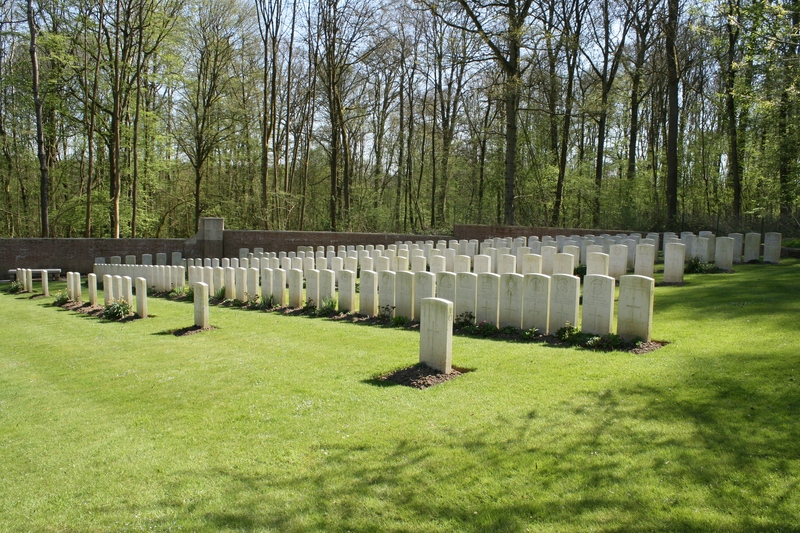 Records show that the Battalion was relieved sometime on the 9th before proceeding back to Engelbelmer. I would be grateful to receive any precise information you may have as to the whereabouts og the Anson Battalion on the 9th prior relief arriving. Graeme, I am sorry that no one has come back to you yet, but I guess that’s how it goes sometimes. You never know when someone might in the future, though. Jenny, hope you get the help and info you need from the GWF. It will make your visit even more poignant, if that is possible. If you hadn’t noticed, and you may well have already, the two little boxes below, one or both, might be useful to you – who knows who might comment here in the future? found the grave and cemetery easily. The whole trip was such a memorable experience. Lots more Somme stuff if you click ‘The Somme’ category,of course. I shall be back on the Somme next month myself.